The Foundations Diploma Program is a unique seven-month, learning-centered program designed to develop a deeper understanding of the rulings in the Qur’an. It is specifically tailor-made for working men and students who are unable to commit to a full-time study of the classical Islamic disciplines. The program consists of five specialized modules, supplemented with workshops promoting tarbiyah and tazkiyah of the students. 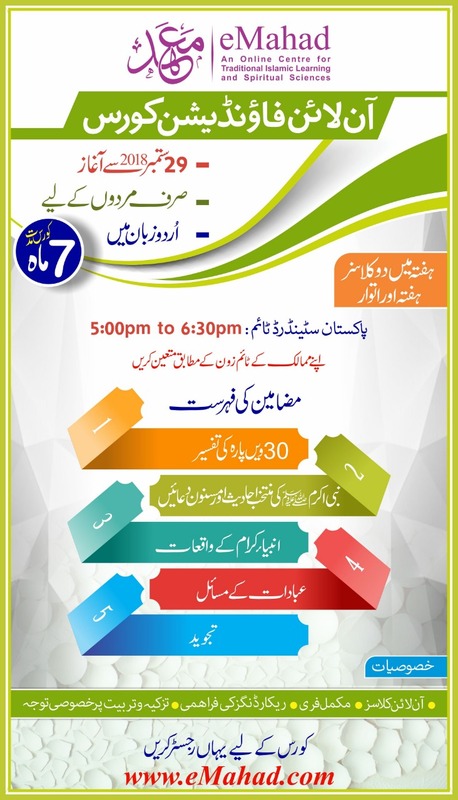 Classes will be held every Saturday & Sunday from 05:00 PM to 06:30 PM Pakistan Standard Time.